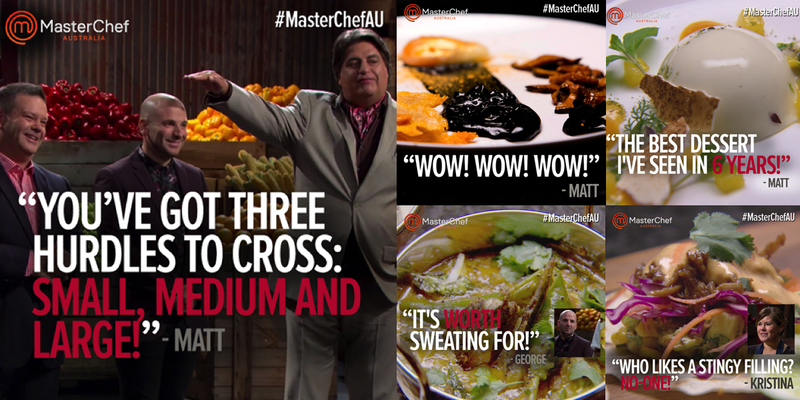 Network Ten unleashed the power of MasterChef Australia last night with immediate results. MasterChef ranked as the #1 show with a launch audience over 1.2m and in doing so made a mess of the launch numbers for Nine’s Reno Rumble and Seven’s House Rules. TEN’s share of 21.0% was its best share and first win for 2015. It is also the channel’s best share and first win since the end of MasterChef 2014 on Monday July 28 last year. TEN finished in first place in Melbourne and Adelaide. Nine was the winner in Sydney with Seven on top in Brisbane and Perth. The Ten Network was also the winner in combined channel share with 27.4% with ONE and Eleven both over 3%. Shares at the other multichannels were hampered by decisions to simulcast their new renovation series on multiple channels. Nine was not far off the pace set by TEN thanks to a launch audience over 900,000 for Love Child. Seven had easily its lowest Tuesday of the survey year which was also its first without My Kitchen Rules. Share has been on a wild ride so far this week at Seven. After winning figures of 27.1% and then 34.3% on Sunday and Monday, Seven dropped to 18.2% last night. Seven News held above 1m for both halves and then Home and Away was again the timeslot winner at 7pm. 7mate had a combined 7.0% which dipped to 4.0% last night. When the House Rules audience starts to grow that temporary sacrifice will have been well worthwhile. Ramsay’s Kitchen Nightmares followed around 9pm with 511,000 which is 200,000 down on what each of the first two episodes managed. A double episode of Grey’s Anatomy featuring the death of a major character followed with the Seven trailers telling people what was about to happen to make sure they watched. The first episode did 241,000 and the second 173,000. That was the equal smallest audience for the US drama this year. Nine News started close to 1.1m but ended closer to 950,000. A Current Affair featured the Brady Halls‘ interview with former AC/DC drummer Phil Rudd and his personal highway to hell. “ACA investigates Accadacca,” said the reporter in his intro. The short roadside interview also featured a statement from Angus Young about their former drummer. The audience of 868,000 put the show in second spot. Reno Rumble followed with 873,000 which ranked in the reality TV showdown in the 7.30pm timeslot. The episode was also simulcast on GO! where share was also down week-on-week. By contrast The Block Triple Threat launched with 969,000 in January. The return of Love Child fared better in channel comparisons and won its timeslot with a launch audience of 920,000. It was the smallest audience yet though for the Aussie drama which launched with 1.35m last year and then never dropped below 1m and only below 1.1m once. The channel’s best night since the end of season six of MasterChef was all about the launch of MasterChef season seven. Viewers got a taste of what is to come by watching contestants battling it out for a place in the top 24 in front of friends and family and, of course, the three judges. Tonight the top 24 will be finalised after a number of cooks showing potential get a second chance to join the series. Series seven of MasterChef Australia launched with 1.23m compared to 873,000 last year and 1.10m in 2013. The audience last year didn’t hit 1m until week seven while in 2013 the show didn’t hit 1m again until the grand final. The channel is understandably pretty excited about the launch and the ratings with chief programming officer Beverley McGarvey commenting this morning: “We are thrilled with such a positive start to MasterChef Australia. It is great to see Australia embrace the wonderful talent on this year’s show. MasterChef is a massive team effort from a huge amount of people at Network Ten and Shine. Special thanks to our wonderful judges, George, Gary and Matt. This is only the very beginning: there is a brilliant, exciting, mouth-watering series ahead.” TEN has also quickly programmed an encore screening of the first episode at 11am today. MasterChef was #1 in all markets and all demos with the exception of 55+! 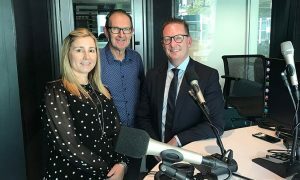 The ratings result is great news for the show’s sponsors which we reported on last week – Coles and Alfa Romeo plus Harvey Norman, Swisse Wellness and Finish. The arrival of MasterChef was good news for NCIS which delivered TEN advertisers an audience of 707,000 – its best since November last year. NCIS: Los Angeles didn’t set any records for this year though with 428,000 watching, but it was after 10pm by the time it started. The channel had its best Tuesday share since Easter with ABC News just over 850,000, 7.30 on 771,000 and then Foreign Correspondent on 727,000. No guesses needed to understand what the 8.30pm doco was about – Slow Train Through Africa With Griff Rhys Jones did 698,000 in a timeslot that has been hit and miss this year. The channel had its third 5%+ share in four weeks driven by a timely repeat of Queen Victoria’s Children on 335,000. Insight followed with 266,000 watching an episode about keeping secrets.